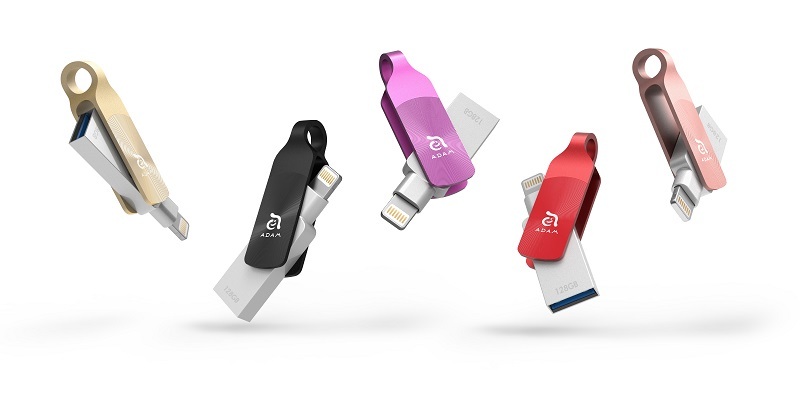 Just in time for Christmas, ADAM elements has released a range of intelligently designed gadgets including the elegant USB-C car charger CASA CO³, the Lightning flash drive iKlips DUO+ and the iinCLOAK 7, a BPA-free case specifically designed for the new iPhone 7 and 7 Plus. strict performance and manufacturing standards. Thanks to its compact design, iKlips DUO+ is compatible with even the thickest iPhone cases. It comes in five different colours and three storage sizes – 32GB, 64GB and 128GB. With the CASA CO³, ADAM elements makes sure that your devices never run low on battery. The intelligently designed car charger features a USB-C and two dual USB ports that enable users to charge mobile devices while driving. For those among you who rarely travel with just one device, this means that neither your iPhone, iPad nor your MacBook will be left behind on the road – all can be charged simultaneously. Moreover, CASA CO³ is equipped with QuickCharge 3.0 technology, allowing it to charge each device up to four times faster than conventional car chargers. To prevent dangers such as overheating, short circuits or high currents, the CASA CO³ features multiple protective failsafe designs and high quality electronics. With its slick exterior made from a black polycarbonate blend, the car charger fits perfectly in any vehicle. The iinCLOAK 7 case and protective screens have been specifically designed for the new iPhone 7 and 7 Plus. It is made from tough elastic and tactile BPA free PET that, while keeping it from slipping out of your hands or sliding around in your pocket, also gives your iPhone a luxurious, high-fashion style. To prevent the case from getting brittle over time, the case is refined with UV protection. Moreover, patented coatings on the case and protective screens self-repair micro fine scratch marks. To prevent the case from building up dust, it has been especially designed to easily snap on to and off the iPhone. The CASA line by ADAM elements offers robust and exquisitely designed cables and adapters to users of MacBooks and other USB-C devices. The USB-A-to-USB-C adapter CASA F13, for example, allows users to connect a mouse, keyboard, printer or any other standard USB-A peripheral with the latest MacBook or other computers with USB-C connectors. The CASA HDMI and VGA adapters, on the other hand, are perfect for connecting the MacBook and other USB-C devices to computer monitors, TVs or projectors. All items mentioned can be ordered from the Taiwan-based ADAM Store.